Most of us enjoy the splendor and glory of candles. Candles are visible reminders of our possible triumph over darkness. Have you ever noticed how one candle can go nearly unnoticed yet when you have a lot of candles lit, their presence is domineering and you can't ignore their impact? 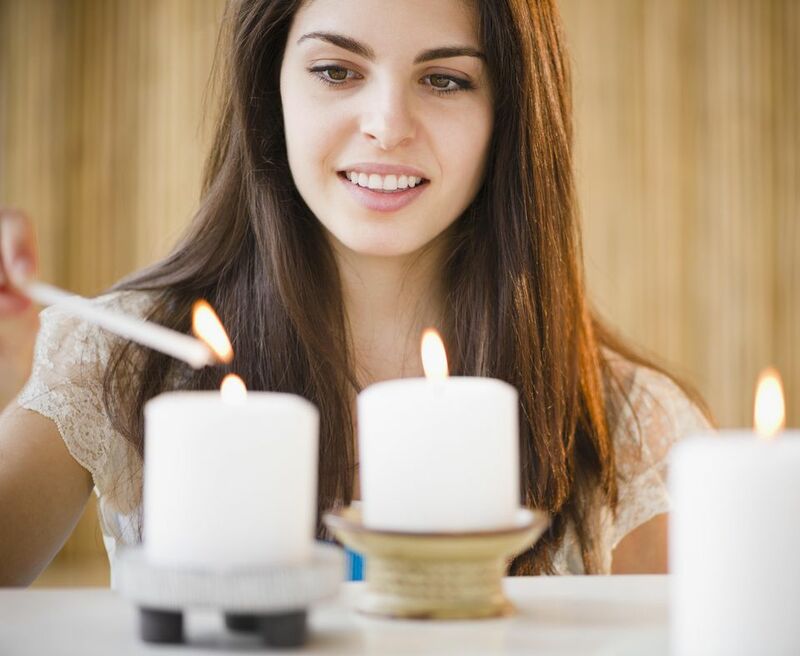 The symbolism of candles is reflected in numerous ways in your religious and cultural traditions, and in your marriage. Examples include how the Kwanzaa celebration utilizes special colored candles, the Yahrzeit memorial candles, kindling Hanukkah lights, and the Advent Wreath. Many couples have a Unity Candle at their wedding. Two outside candles are lit by the couple's mothers to represent their lives to this moment. These distinct flames, each burning alone, represent the faith, wisdom, and love received from their parents. Together, the couple lights a center candle, symbolizing the union of their lives. Their thoughts shall be for each other, and they will share both joys and sorrows. The flames of the two smaller candles remain lit to show how although they are now one, they are still each unique individuals. A candle represents love which can light your spouse's world. A candle wipes out darkness and shows you how love can brighten your beloved's life. When you are near a candle, you feel warmth, just as you feel warmth from the love of your spouse. A candle can give a sense of direction and can draw people together, reminding you of how your love is also a binding force. When a candle burns, the melting wax on the candle in a way disfigures the candle, representing the risk and element of pain that exists in a love relationship. A candle, in order to fulfill itself, must burn itself out. If a candle is never lit, it never fulfills its purpose. Your marital love is the same. Marriage should not be a 50/50 proposition. It is a commitment of 100/100 percent for each other. Why Do Couples Make Postnuptial Agreements? Which States Allow First and Second Cousins to Marry? What Does a Catholic Wedding Program Read Like?